With firm commitment to quality, we are manufacturing, supplying and exporting a comprehensive range of Dyeable Chiffons Fabrics. 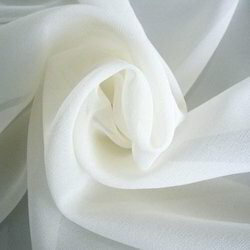 Made under the supervision of experienced professionals these fabrics are acknowledged for their features such as color-schemes, high tear strength, aesthetic appeal and skin-friendliness. These products are made in compliance with the international standards and guidelines of the fashion industry. The offered range of product is highly appreciated in the market for their eye-catching designs. We also offer the customized range of the fabric as per customers specifications. 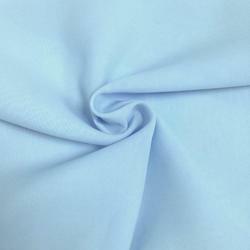 We are instrumental in offering a quality range of Bemberg Chiffon Fabrics 40 Gram. At the time of fabrication, our experienced professional monitor the entire process and check in order to ensure its adherence with the industry laid norms and standards. In order fabricate quality product, we use modern technology and premium quality fabric sourced from our trusted vendor, which also meets the quality standards. In addition to this, clients can avail the offered range from us at reasonable prices.